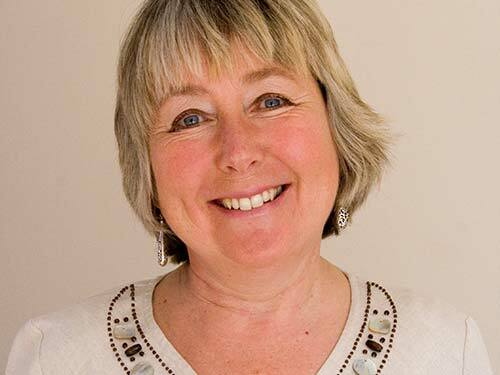 Gardening expert, Val Bourne advises on the best varieties to grow in the UK, plus tips on planting, pruning and protecting plums from diseases. Plums are not difficult to grow, but you will need to find a warm, frost-free place in order to grow a plum tree successfully because, like all stone fruit, they produce their white flowers early enough to be killed off by frost. They also need fertile, moist soil in summer. This is why the UK's prime plum-growing areas are in ambient places like The Vale of Evesham. They also need a sheltered position to encourage pollinators. Gages need a warmer position than plums and damsons and can be difficult in colder districts. 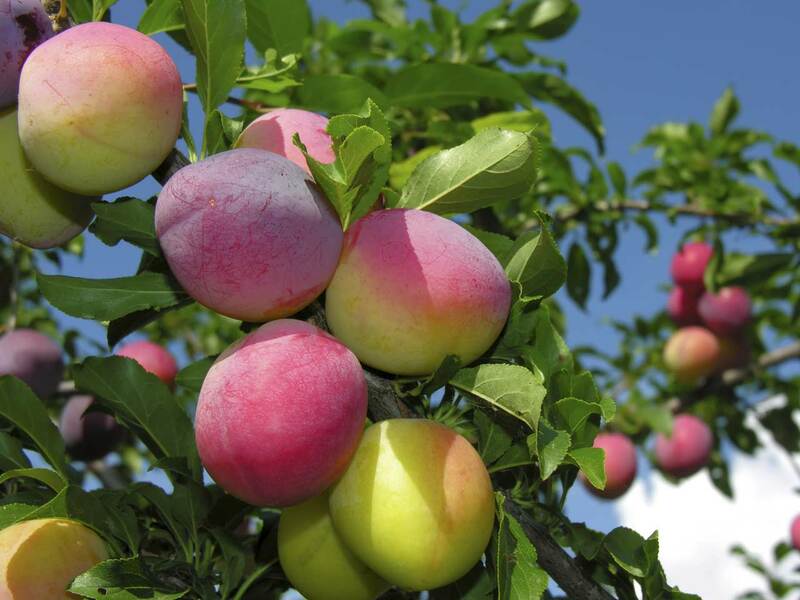 Plums prefer well-drained but moisture-retentive soil and do best in areas where summer rainfall tends to be plentiful. Mulching with well-rotted manure in mid-spring will preserve moisture and increase nitrogen. When to pick plums will depend on their variety, with different varieties cropping at different times between July and September. Pick some plums with the stalk attached a little before they become fully ripe: this way they will keep for 3 weeks in a cool place. Always remove any mummified plums in the autumn. If left they will harbour brown rot spores over winter and cause re-infection the following year. To prevent the plum tree exhausting itself and branches breaking it's a good idea to thin out young fruit. Thin first when the plums are about the size of a hazelnut and again in late May when the fruit is golf ball size. Remove them at the stems with scissors as pulling them can damage next year's buds. Try to leave 5-7.5cm (2-3in) between each fruit. Fallen fruit is adored by butterflies, so leave them in situ if possible. Prune plum trees lightly in the second half of July, but only if needed, so that the sap can seal any wounds. If you prune in winter, fungal diseases like Silver leaf (Chondrostereum purpureum) will enter the tree, making the leaves dry and silvery. Plums crop heavily, so heavily the branches can snap, so it’s a good idea to thin the fruit out - especially on new trees. Plum trees can be wayward in shape, so branches may need tying down, rising up or trimming back during the growing season. If you are pruning an old, overgrown tree the pruning should be light and happen over a period of several years to prevent the tree from responding by producing a lot of new shoots. Plums are greedy feeders, so apply extra nitrogen in spring using hoof and horn at 100g/3oz per sq yard. Top-dress with potash-rich fertiliser (like Vitax Q4) in late winter, according to instructions. Fungal diseases such as silver leaf may make the leaves dry and silvery. If you spot silver leaf, cut away the infected wood and burn it. Do not store any logs etc as the spores are long-lived. Wasps can also be a problem as they are attracted to the sugary ripening plums. The easiest plum to grow in the UK is definitely ‘Victoria’ plum and this dessert and cooking variety crops heavily in August producing pink-skinned plums with sweet yellow flesh. ‘Victoria’ is also self-fertile, so you only need one, and it’s very hardy and vigorous. Buy from a specialist fruit nursery and opt for a two-year-old bush, preferably grafted on to St. Julian A. 'Opal' is a new, extra-early variety with medium-sized, yellow-fleshed red fruits. Very good to eat, but also makes good jam. Pick in late July. Self-fertile. A dark, purple-black plum for cooking and jam but it can also be eaten raw when fully ripe. Yellow–green flesh with a good acid flavour. Pick in early August. Reliable and seems to shrug off frost. Self-fertile. 'Marjorie's Seedling' is the best late plum for cooking and eating, although it forms a large tree. It flowers later than most and the blossom appears after the leaves (which is unusual), so it misses the early frosts. Pick in late September. Self-fertile.